I had originally intended landing at the south end of Ballantrae beach, where it is more sheltered from the surf. 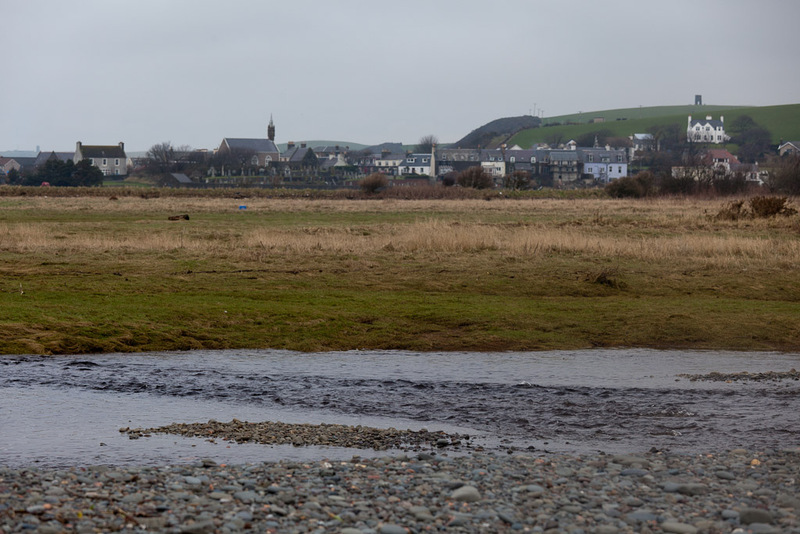 The last time Tony and I had surfed in over the bar at the mouth of the River Stinchar but David didn't fancy it and stayed out. 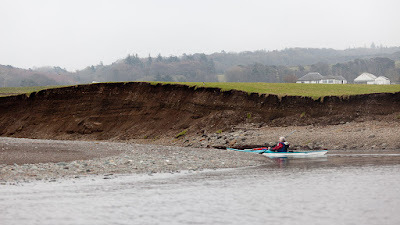 So I was quite surprised when David nipped in, but the rising big spring tide meant there was more water over the bar and the swell wasn't breaking. I followed David in with Andrew, leaving Jim to gather Phil in. 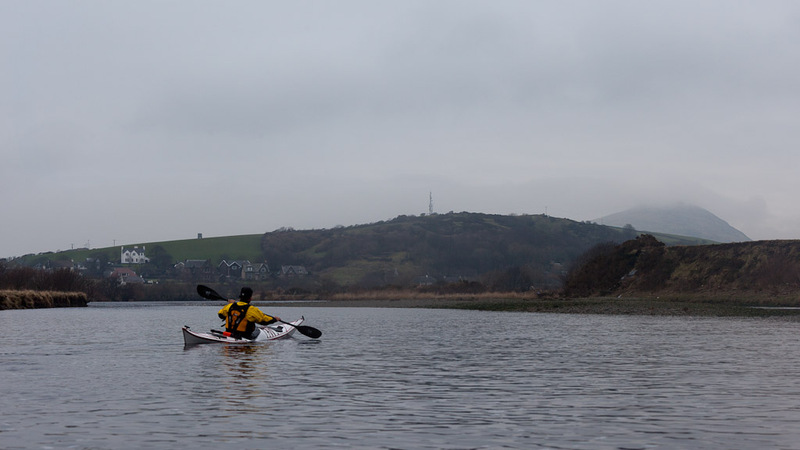 Once inside, we were paddling up the River Stinchar but on the map we were on dry ground! The estuary of the Stinchar is very active and a combination of flood and storm causes the mouth to alternately move north then south over time. 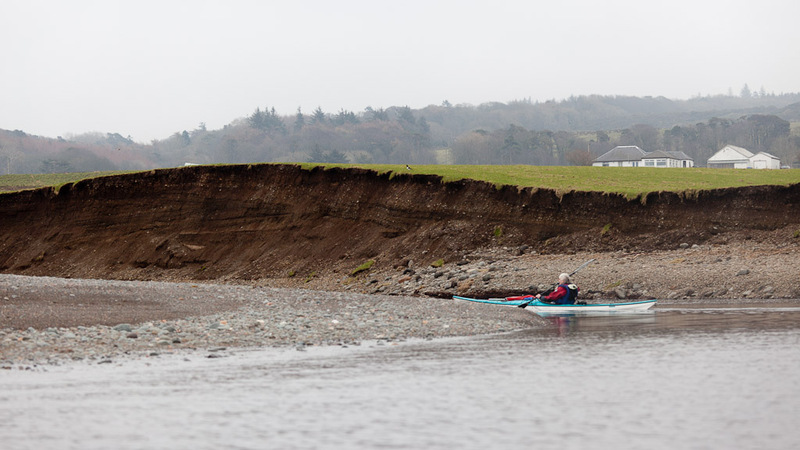 You can see the amount of erosion caused by our recent winter storms in the top photo. 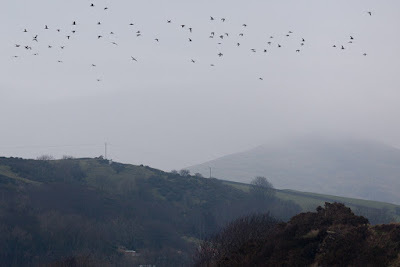 The hill in the distance is Knockdolian 265m. 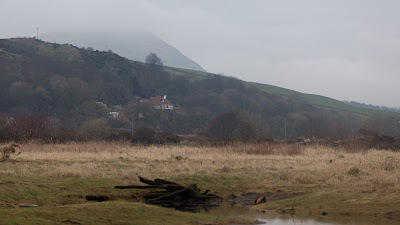 Like Ailsa Craig, it is a volcanic plug and as it was sometimes mistaken for Ailsa Craig in poor visibility, mariners of the time called it "the False Craig". 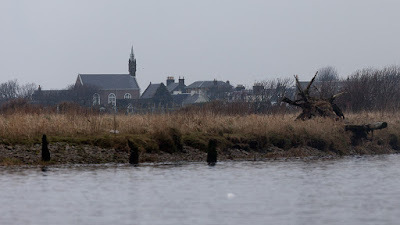 The Clyde Cruising Club Sailing Directions still warn about it. ...creating a very rich habitat for bird life and is the reason this area is a Nature Reserve. 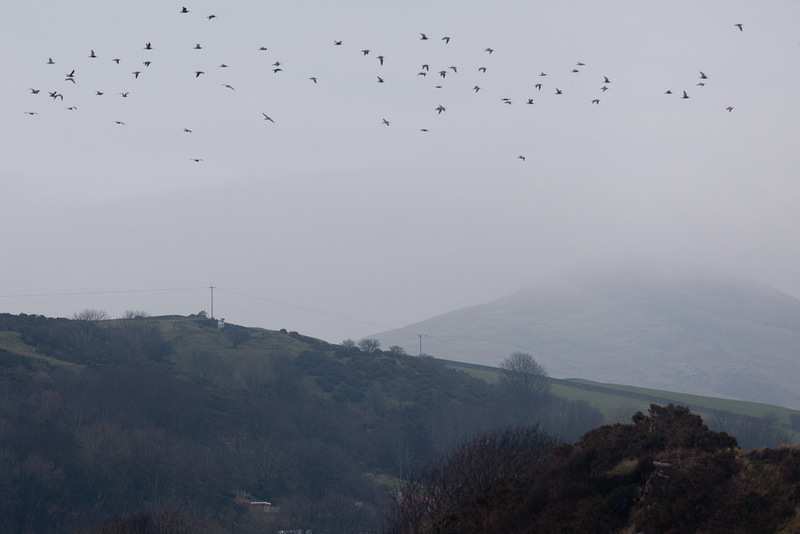 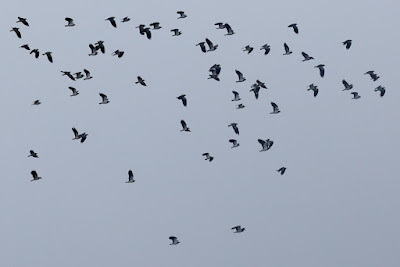 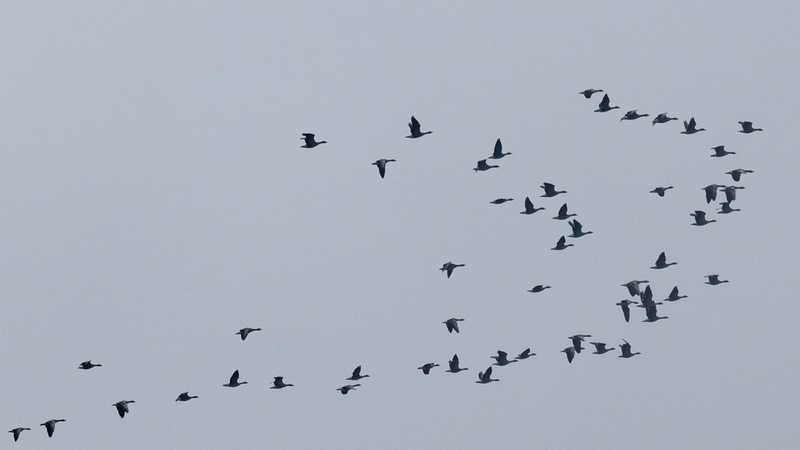 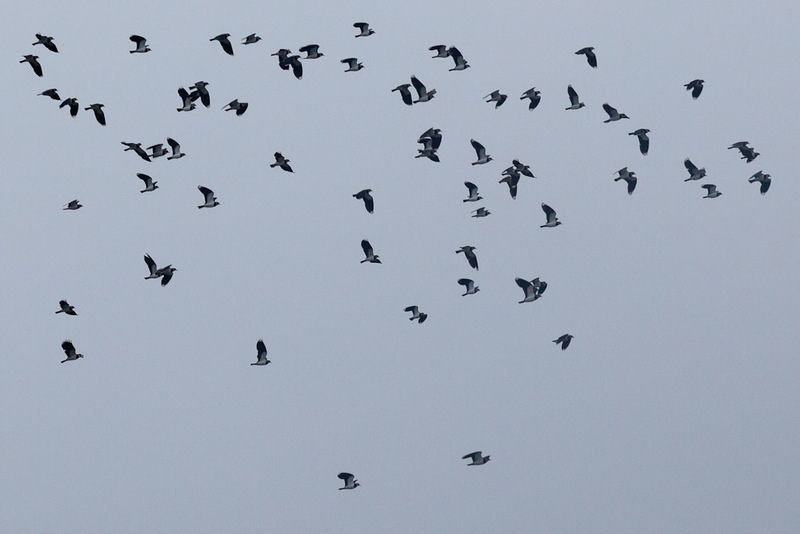 ...the peewits (lapwings) took flight and filled the air above us.